Now I'd love to say that I find these dark, grey, cold January days here in Southern Sweden cosy. But sometimes they really can get the better of me and I'm starting to wonder if the sun actually still exists?!! On days like today I find escaping (virtually) to warmer, far off place helps to lift the spirits - how about you? 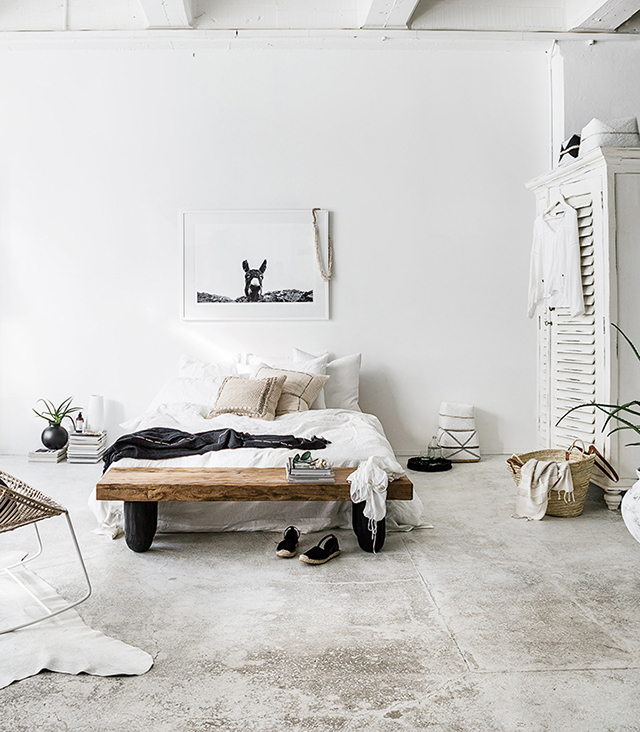 Somewhere like this wonderful space in New Zealand, home to concept store Indie Home Collective. 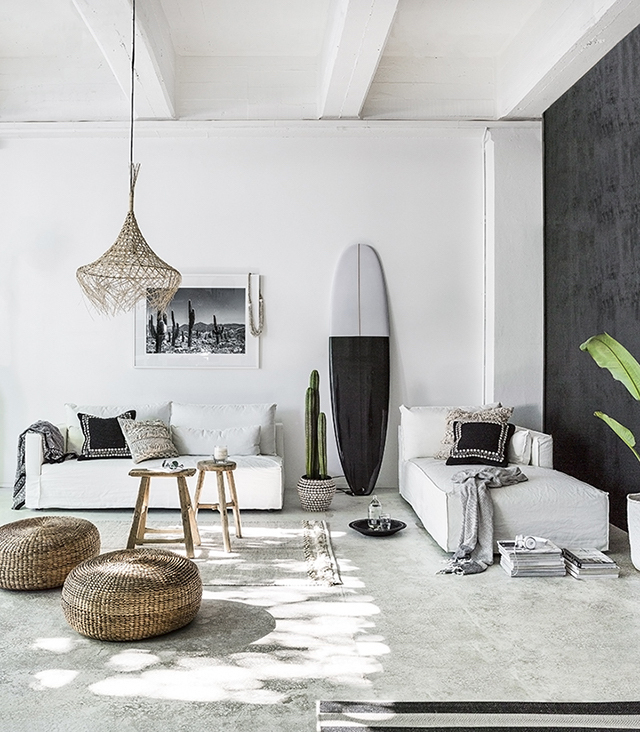 Think woven rattan, rustic wood, and layers of warm, natural materials against a dramatic backdrop of white, black and concrete. Roll on boho summer vibes! Credits: photos from Indie Home Collective. Found via The Design Chaser with thanks. Ah so lovely. I can practically feel the warm breeze through the window, how about you? 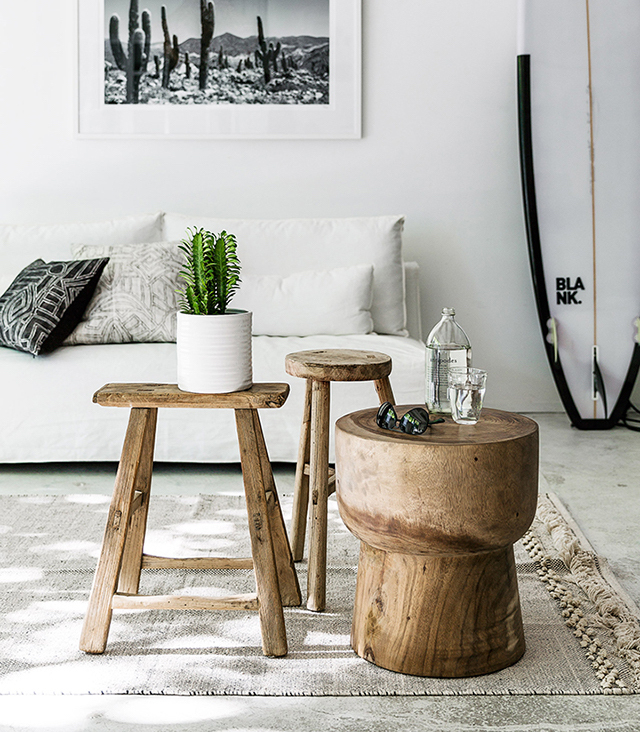 Many of the items you see are available at Indie Home Collective (what a beautiful store?!). 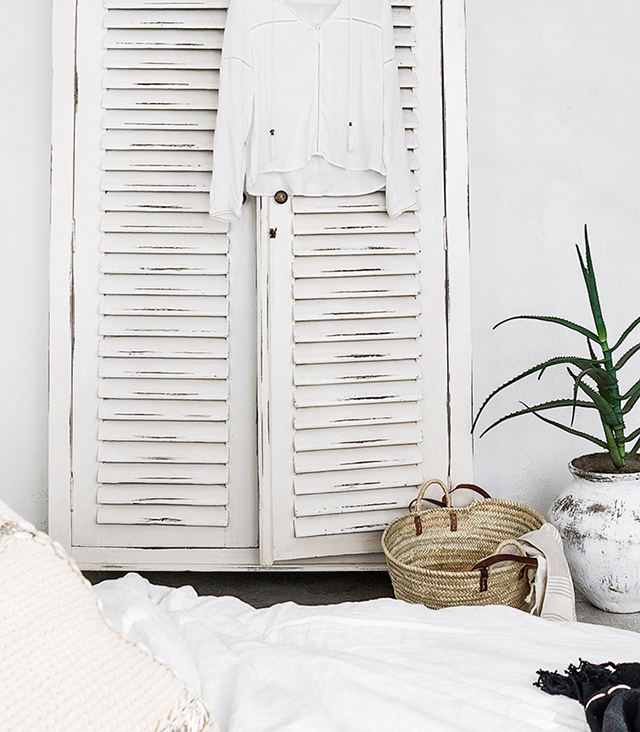 I also love the boho-Scandi style seen in this Norwegian home of Vintage Piken. 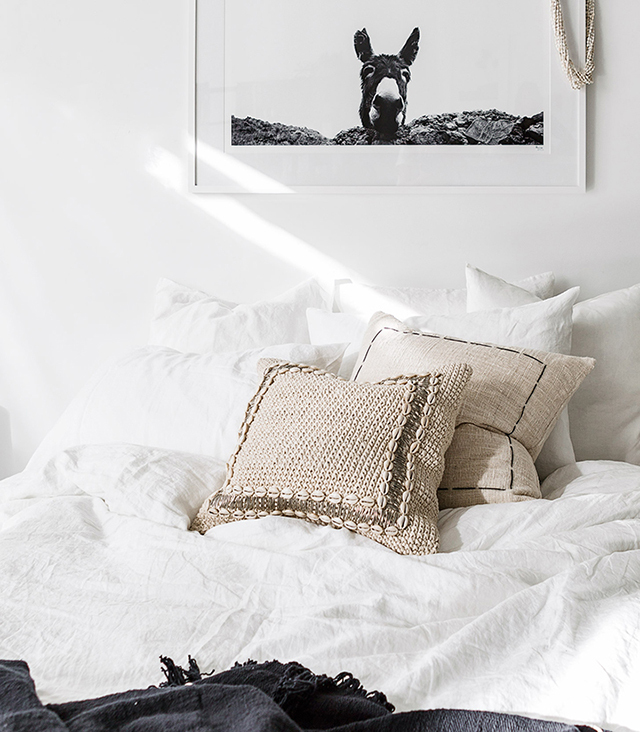 And if you're now in the mood, you can find 28 more beautiful boho home tours from all over the world in this archive. Oh yes! Is this your kind of style? Have a wonderful day! Oh and fellow Northern 'hemispherers' (is there an official name for people who live in the Northern hemisphere?!) - stay warm! PS This is not a sponsored post, I just found the pictures truly inspiring and hope you did too! 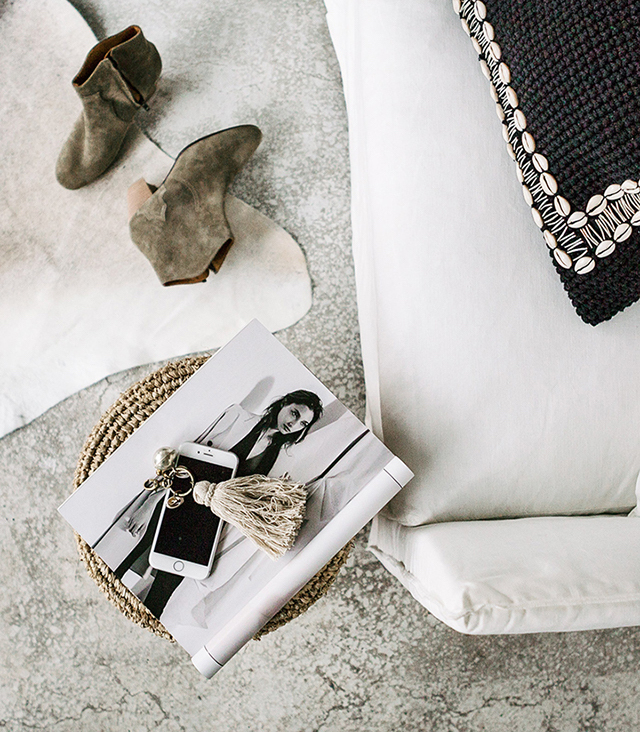 So happy you felt uplifted from today's post :) It is indeed a goregous space! 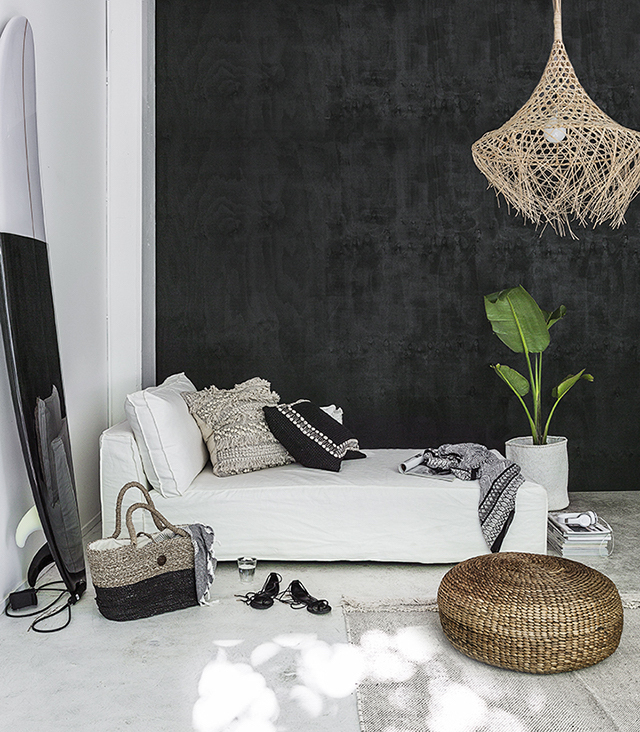 i love the contrast of the black wall and the floor and the other walls. dramatic. the space looks so free-spirited. like a little beach cottage in the city!